The rupee, which has taken quite a hammering this year, opened at a new all-time low of 72.18 against the dollar this morning. This despite the RBI's heavy intervention in the forex market on Friday, selling dollars whenever the unit came close to the 72 level. That had propped up the local currency somewhat, allowing it to end the week higher at 71.74, up 25 paise from Thursday's close. The hard-won ground has been lost again. However, Economic Affairs Secretary Subhash Chandra Garg told The Economic Times that foreign currency borrowers and importers need not panic. "I have maintained that 68-70 perhaps is the right level and I don't expect it to go beyond. There may be some temporary factors that came into play last week but there is no fundamental justification," he said, adding, so far, extraordinary measures to defend the rupee are not warranted. Finance Minister Arun Jaitley, too, announced last week that there was no need for a knee-jerk reaction on the currency. Significantly, Garg sees 72 per dollar as "perhaps an outer limit or beyond the reasonable outer limit" where depreciation is concerned. "Those operators who are trying to take advantage of this contagion feeling in emerging markets may come to grief later," he cautioned, adding that sentiment may already have turned. 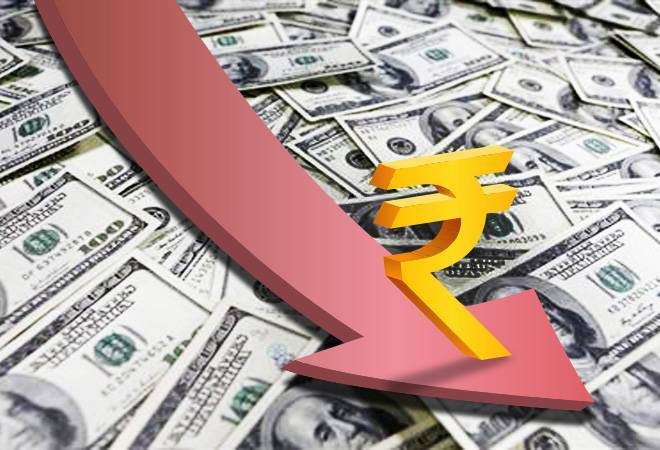 According to him, last week's turbulence was on account of the belief that emerging markets with a current account deficit may face some pressures going forward, and the rupee was no exception. However, Garg emphasised that there was no undue pressure on India's capital account so no counter measures were required as of now. "The numbers have also come for Q1 - the entire deficit on BoP (balance of payments) basis is only $11 billion, which is only $3-4 billion a month. That, in the context of India, is not very large and we can take care of it. That is not to be taken too seriously," he told the daily. Furthermore, the last two months have seen FIIs reverse its massive three-month outflow trend. Foreign investors pumped over Rs 5,100 crore into the country's capital market in August - after a net infusion of over Rs 2,300 crore in July - on improvement on the macro front, better corporate earnings and correction in the mid- and small-cap space. There's optimistic news on the oil price front as well, the other major factor that's been weighing down the rupee and threatening the country's fiscal position. According to Garg, crude oil should not cross $80 per barrel, which the country can manage since it would translate into a $20-25 billion impact on an annual basis. Besides, the government was working to ensure that supplies from Iran would continue. With the market expected to tighten after US sanctions against Iran's crude exports kick-off in November, while Venezuelan supplies continue falling and unrest in Libya threatens its oil production, international crude oil benchmark Brent is on the rise, again. Brent crude futures reportedly climbed 42 cents, or 0.6%, to $77.25 a barrel on Monday. At home, petrol and diesel prices shot up 22-25 paise across the four metros today to touch new peaks. Garg further told the daily that consumers are bearing the cost of high crude right now, but this might need to be spread wider at some point. "So the choices you have are either general inflationary effect or spread of cost to a wider group of taxpayers or to specific consumers ... the most suitable section to bear this cost will need to be decided," he explained. He also claimed that, contrary to popular perception, the government was not making more money because of higher fuel prices. "The government of India excise duty on petrol and diesel is in specific terms, it's not ad valorem. Therefore, increasing crude prices does not increase government's budgeted revenue from excise duty," he said, adding, "If there is any reduction in excise revenue, the budgetary deficit either goes up or we have to take other measures - expenditure cuts or other revenue measures to make up for loss of revenue."